One of the advantages you enjoy as a CISVA employee is the opportunity to join the CISVA Critical Illness Insurance Program. Critical Illness Insurance provides a tax-free lump-sum payment if you are diagnosed with one of 25 life-changing covered conditions (plus an additional 6 child-related illnesses for your children). Get a Quote or Apply Online Today! All regular full-time employees working a minimum of 20 hours per week at full pay and their spouses are eligible to apply. Applicants must be under age 70 and residing in Canada. Dependent children are also eligible to apply provided they are under age 21 (up to 24 if they are enrolled full-time at a post secondary school) and the employee also applies for coverage. 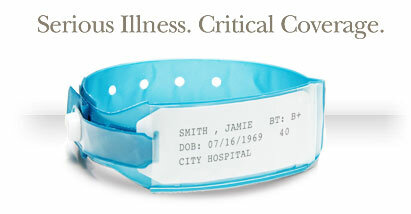 * Premiums are calculated each year, based on your age at September 1 and will increase as you enter a new age band. Our online applications are the fastest, easiest way to apply for coverage. You can get a quote in minutes, with no obligation to apply. Please note you will need to provide credit card information if you wish to submit your application electronically. You can also apply by submitting a paper application. Download and print a paper application and send your completed form to the address below. We can only accept Cheque or Pre-Authorized Debit for mailed applications. This website outlines the benefits available to eligible Catholic Independent Schools of Vancouver Archidiocese s and does not create or confer any contractual or other rights. All rights with respect to benefits of an insured will be governed solely by the Master Group Policy issued by Industrial Alliance Insurance and Financial Services Inc.